Today’s world keeps getting tougher for teens. Here at Polaris Martial Arts, it is our goal to create a safe and encouraging learning environment, where they can learn self-defense, discipline, and confidence without being ridiculed for their mistakes. This sense of identity will boost their confidence, resulting in increased assertiveness when dealing with the high-pressure situations they’re faced with on a daily basis. Our classes are an excellent way for teens get involved with peers that share similar goals and standards. By expanding their network with positive influences, they'll be able to maintain accountability and increase their social skills. 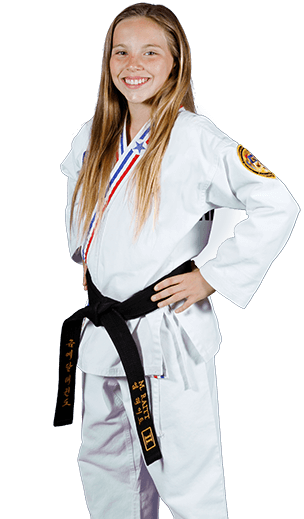 Let ATA Martial Arts Help You Equip Your Teen For Success In The Real World. The teenage years are a critical time in a child's personal development. It is important for teens to learn the acceptable boundaries for their behavior so that they can develop the habits they need to become a functional adult. Martial arts teaches teens this kind of self-discipline through the tradition and etiquette of the practice. Teens will feel a sense of belonging as they learn within an environment that is encouraging and non-judgemental. They will build their confidence through positive reinforcement by their instructors, as they continue to challenge themselves and achieve new goals. DO NOT LET YOUR TEEN BECOME A STATISTIC. Social interaction teaches teens how to effectively work as part of a team. Martial arts is an excellent form of exercise. The discipline students learn in their martial arts class will help them stick with their practice as a way to maintain fitness for the rest of their lives. For many teens, controlling their emotions in social situations is a challenge. Martial arts helps teens improve their self-control by teaching control of the body. This is a vital skill that teens can carry with them into their adult life, helping them to manipulate their thoughts and emotions more effectively. A key component of the martial arts tradition is respect. Students will be taught to respect their instructor, their classmates, and themselves.This sense of respect promotes dignity and well-being among those who practice. In martial arts classes, all students are treated equally. They will engage with a wide range of opponents, giving them a sense of accomplishment as they find success in a variety of situations. Master is an AMAZING teacher, hands down. His patience and dedication is a sight to behold. We started in November, and every time we are there, we find a new reason to love our choice to join! 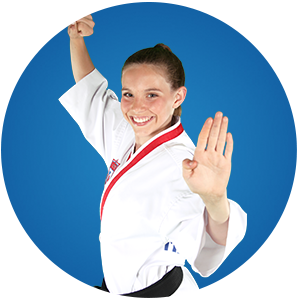 Begin your teen's martial arts journey Now!